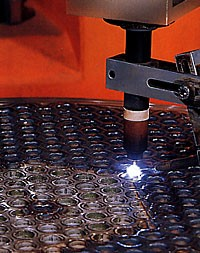 During TIG welding, an electric arc burns between the tungsten electrode and the workpiece. An inert gas surrounds the electrode and protects the electrode as well as the workpiece from air. Argon and helium as well as their gas mixtures are applied as inert gases. Due to their properties, these gases do not enter chemical compounds. In the electric arc (Fig. 1), the manually or mechanically added welding filler is melted. With this process, almost all metals can be connected.